[S1252] Corley Funeral Home, Corsicana, Tex., online at http://www.corleyfuneralhome.com, memorial for Carey Ann Blount. Marriage*: He married Jewel McCullough. [S1207] Corsicana Daily Sun, Corsicana, Tex., online archive at http://corsicana.newspaperarchive.com, (obituary of Allie Pearl Hodge). [S1207] Corsicana Daily Sun, Corsicana, Tex., online archive, above, (obituary of Allie Pearl Hodge) (naming Carleton D. Speed as her father). Marriage*: She married Carleton D. Speed. Other Names*: Jewel McCullough Speed, Jewel Speed. [S1207] Corsicana Daily Sun, Corsicana, Tex., online archive at http://corsicana.newspaperarchive.com, (obituary of Allie Pearl Hodge) (naming Jewel McCullough as her mother). Services will be Thursday at 4 p.m. for Roscoe McConnico, 79, who died Tuesday [14 Sep 1971]. Officiating will be Rev. James Story, assisted by Rev. S. R. Woodson. Burial is to be in the city cemetery. A life-long resident of Kerens he was a merchant and owned a meat market, in addition to a ranch. He was a member of the Presbyterian church of Kerens and was a World War 1 veteran. He is survived by one daughter . . ., two sisters, Mrs. Addit Newsom of Kerens and Mrs. Erma Woodson, of Mississippi and two grandsons. • His Find A Grave memorial, which includes his portrait and a picture of his grave marker, is here. [S961] Find A Grave, online at http://www.findagrave.com, memorial for Roscoe McConnico, memorial no. 64926029, viewed on 8 Feb 2013 (naming James Washington McConnico as his father). [S961] Find A Grave, online, above, memorial for James Washington McConnico, memorial no. 10368374, viewed on 8 Feb 2013 (naming James Washington McConnico as his father). [S961] Find A Grave, online, above, memorial for Roscoe McConnico, memorial no. 64926029, viewed on 8 Feb 2013. [S961] Find A Grave, online, above, memorial for Roscoe McConnico, memorial no. 64926029, viewed on 8 Feb 2013 (not giving the date). [S961] Find A Grave, online, above, memorial for Helen Dean Sherrill McConnico, memorial no. 64926121, viewed on 8 Feb 2013 (not giving the date). [S1207] Corsicana Daily Sun, Corsicana, Tex., online archive at http://corsicana.newspaperarchive.com, 15 Sep 1971 (obituary of Roscoe McConnico). [S1207] Corsicana Daily Sun, Corsicana, Tex., online archive, above, 15 Sep 1971 (obituary of Roscoe McConnico) (stating that services would be on 16 Sep 1971 and burial could be in the city cemetery). [S1207] Corsicana Daily Sun, Corsicana, Tex., online archive, above, (reprinted here with consent of Corsicana Daily Sun). Other Names*: Helen Sherill, Helen Dean Sherrill McConnico, Helen Dean McConnico, Helen Sherill McConnico, Helen McConnico. [S961] Find A Grave, online at http://www.findagrave.com, memorial for Helen Dean Sherrill McConnico, memorial no. 64926121, viewed on 8 Feb 2013. [S961] Find A Grave, online at http://www.findagrave.com, memorial for Rockhill C. Callaway, memorial no. 98131398, viewed on 8 Feb 2013 (naming Leroy Callaway as his father). [S961] Find A Grave, online, above, memorial for Leroy Callaway, memorial no. 98527670, viewed on 8 Feb 2013 (naming Leroy Callaway as his father). [S961] Find A Grave, online, above, memorial for Rockhill C. Callaway, memorial no. 98131398, viewed on 8 Feb 2013. [S961] Find A Grave, online, above, memorial for Addie Ophilia Callaway McConnico, memorial no. 98020899, viewed on 8 Feb 2013 (naming Rockhill C. Callaway as her father). 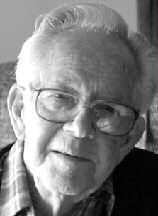 [S961] Find A Grave, online at http://www.findagrave.com, memorial for Leroy Callaway, memorial no. 98527670, viewed on 8 Feb 2013. [S961] Find A Grave, online, above, memorial for Rockhill C. Callaway, memorial no. 98131398, viewed on 8 Feb 2013 (naming Leroy Callaway as his father). 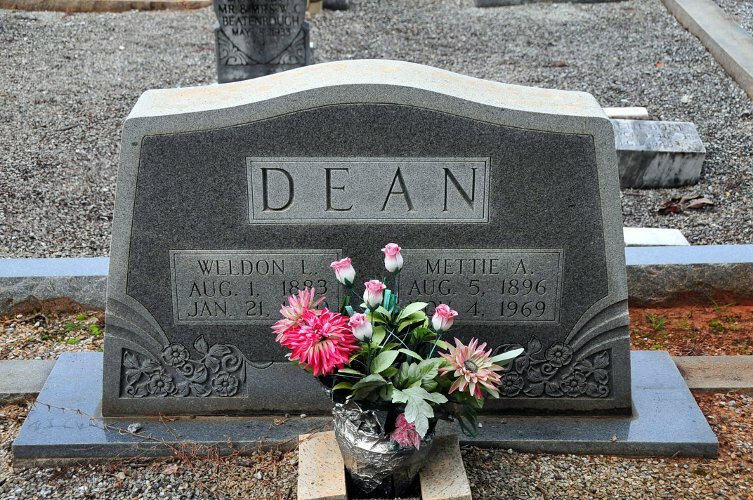 Weldon Dean's tombstone, Jones Chapel Methodist Church Cemetery, near Danielsville, Ga., courtesy of Ed Saye. Marriage*: He married Mettie Long. [S961] Find A Grave, online at http://www.findagrave.com, memorial for Weldon L. Dean, memorial no. 78003906, viewed on 11 Feb 2013. [S960] Athens Banner-Herald, Athens, Ga., online, 7 Feb 2013, obituary of Lois Dean Fortson at http://tinyurl.com/bg7q4ah, viewed on 11 Feb 2013 (naming Weldon Dean as her father). Mettie Dean's tombstone, Jones Chapel Methodist Church Cemetery, near Danielsville, Ga., courtesy of Ed Saye. Marriage*: She married Weldon L. Dean. Other Names*: Mattie Long, Mattie Long Dean, Mattie Dean, Mettie Long Dean, Mettie Dean. [S961] Find A Grave, online at http://www.findagrave.com, memorial for Mattie A. Dean, memorial no. 78003953, viewed on 11 Feb 2013. [S960] Athens Banner-Herald, Athens, Ga., online, 7 Feb 2013, obituary of Lois Dean Fortson at http://tinyurl.com/bg7q4ah, viewed on 11 Feb 2013 (naming Mettie Long as her mother). Mona May Kenner's tombstone (broken), Bazette Cemetery, Bazette, Tex., courtesy of Suzanne Tarkington. 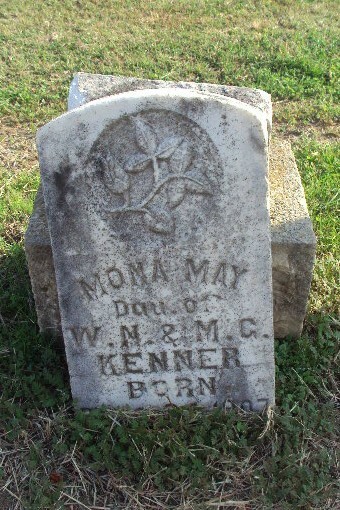 [S961] Find A Grave, online at http://www.findagrave.com, memorial for Mona May Kenner, memorial no. 99321480, viewed on 12 Feb 2013 (naming Mamie Moncrief as her mother). [S961] Find A Grave, online, above, memorial for Mona May Kenner, memorial no. 99321480, viewed on 12 Feb 2013 (naming W. N. Kenner as her father). [S961] Find A Grave, online, above, memorial for Mona May Kenner, memorial no. 99321480, viewed on 12 Feb 2013. [S28] James Alonzo Matthews, Jr. and Lucille Pearce, comps., Pearce, Bartlett, Matthews, Smart, and Allied Families (Austin, Tex. : Eakin Publications, Inc., 1983), p. 117 (naming William Wriley Pearce, Jr. as her father). [S28] James Alonzo Matthews, Jr. et al., Pearce [etc.] and Allied Families, above, p. 117 (naming Elvira Stepp as her mother). [S961] Find A Grave, online at http://www.findagrave.com, memorial for Ida Maud Pearce, memorial no. 44086630, viewed on 17 Feb 2013. [S28] James Alonzo Matthews, Jr. et al., Pearce [etc.] and Allied Families, above, p. 118. [S28] James Alonzo Matthews, Jr. et al., Pearce [etc.] and Allied Families, above, pp. 118, 120 (naming Ida Maud Pearce as his mother). [S28] James Alonzo Matthews, Jr. et al., Pearce [etc.] and Allied Families, above, p. 118 (naming Ida Maud Pearce as his mother). [S28] James Alonzo Matthews, Jr. et al., Pearce [etc.] and Allied Families, above, p. 118 (naming Ida Maud Pearce as her mother). Note*: • From a family history: "He played piano, drums, and cornet. After completing his education in the public schools at home, he studied telegraphy and while a mere boy had charge of a small railroad station about six miles north of Hillsboro, Texas. He met death there on September 3, 1917, when only eighteen years old. The mystery connected with his death remained unsolved. It is certain that he was run over by a train, the engineer of which claimed he knew nothing of the accident until he arrived in Hillsboro and a portion of the young man's clothing was discovered on the pilot of the locomotive. Some members of the family believed that he met with foul play and was placed on the track a short time before the train was due to arrive." • "Killed by Freight Train. • His Billion Graves record, which includes a picture of his grave marker, is here. [S28] James Alonzo Matthews, Jr. and Lucille Pearce, comps., Pearce, Bartlett, Matthews, Smart, and Allied Families (Austin, Tex. : Eakin Publications, Inc., 1983), pp. 118, 120 (naming Ida Maud Pearce as his mother). [S961] Find A Grave, online at http://www.findagrave.com, memorial for Frank C. Pearce, memorial no. 44086685, viewed on 17 Feb 2013 (giving the date and state but no other place information). [S28] James Alonzo Matthews, Jr. et al., Pearce [etc.] and Allied Families, above, p. 120. [S1258] Billion Graves, online at http://billiongraves.com, record for Frank C. Pearce, viewed on 5 Aug 2013 (giving the date but not the place). [S961] Find A Grave, online, above, memorial for Frank C. Pearce, memorial no. 44086685, viewed on 17 Feb 2013. [S1258] Billion Graves, online at http://billiongraves.com, record for Frank C. Pearce, viewed on 5 Aug 2013. [S28] James Alonzo Matthews, Jr. et al., Pearce [etc.] and Allied Families, above, p. 120 (first bullet). [S1320] Temple Daily Telegram, Temple, Tex., online archive at http://texashistory.unt.edu 4 Sep 1917, p. 2, col. 1 (second bullet). [S28] James Alonzo Matthews, Jr. and Lucille Pearce, comps., Pearce, Bartlett, Matthews, Smart, and Allied Families (Austin, Tex. : Eakin Publications, Inc., 1983), p. 118 (naming Thomas Newton Pearce as his father). [S961] Find A Grave, online at http://www.findagrave.com, memorial for Paul Robert Pearce, memorial no. 45822649, viewed on 17 Feb 2013 (giving the year but no other information). [S312] Social Security Death Index, online at http://tinyurl.com/AncestrySSDI, record for Paul R. Pearce, viewed on 6 Aug 2013 (giving the date but not the place). [S961] Find A Grave, online, above, memorial for Fannie Mills Pearce, memorial no. 45822610, viewed on 17 Feb 2013 (not giving the date). [S961] Find A Grave, online, above, memorial for Paul Robert Pearce, memorial no. 45822649, viewed on 17 Feb 2013 (not giving the date). [S961] Find A Grave, online, above, memorial for Paul Robert Pearce, memorial no. 45822649, viewed on 17 Feb 2013 (giving only the year). [S312] Social Security Death Index, online at http://tinyurl.com/AncestrySSDI, record for Paul R. Pearce, viewed on 6 Aug 2013. [S961] Find A Grave, online, above, memorial for Paul Robert Pearce, memorial no. 45822649, viewed on 17 Feb 2013. Other Names*: Newto Mae Pearce, Newta Pearce. Nancy Pearce. [S28] James Alonzo Matthews, Jr. and Lucille Pearce, comps., Pearce, Bartlett, Matthews, Smart, and Allied Families (Austin, Tex. : Eakin Publications, Inc., 1983), p. 118 (naming Thomas Newton Pearce as her father). [S961] Find A Grave, online at http://www.findagrave.com, memorial for Newta Mae 'Nancy' Pearce, memorial no. 14424098, viewed on 17 Feb 2013. Note*: • He graduated from high school, attended business school, and in Oct 1930 moved to Los Angeles, California, where he began working for W & J Sloan Furniture Store. He retired from there in Jul 1972. • Archie served in the U.S. Navy in World War II and was discharged in Oct 1945. • He and Juanita had known each other in Fort Worth before he moved to California. [S961] Find A Grave, online at http://www.findagrave.com, memorial for Archie Clifton Pearce, memorial no. 44086815, viewed on 17 Feb 2013 (giving the date and state but no other location information). [S961] Find A Grave, online, above, memorial for Archie Clifton Pearce, memorial no. 44086815, viewed on 17 Feb 2013. [S28] James Alonzo Matthews, Jr. et al., Pearce [etc.] and Allied Families, above, p. 120 (giving the date but not the place). Other Names*: Fannie Mills Yater Pearce, Fannie Yater Pearce, Fannie Yater, Fannie Mills Pearce, Fannie Pearce. [S28] James Alonzo Matthews, Jr. and Lucille Pearce, comps., Pearce, Bartlett, Matthews, Smart, and Allied Families (Austin, Tex. : Eakin Publications, Inc., 1983), p. 120 (naming Dr. Charles Mills Yater as her father). [S28] James Alonzo Matthews, Jr. et al., Pearce [etc.] and Allied Families, above, p. 120 (naming Rosetta Abney as her mother). [S961] Find A Grave, online at http://www.findagrave.com, memorial for Fannie Mills Pearce, memorial no. 45822610, viewed on 17 Feb 2013 (giving the year but no other information). [S312] Social Security Death Index, online at http://tinyurl.com/AncestrySSDI, record for Fannie M. Pearce, viewed on 6 Aug 2013 (giving the date but no other information). [S28] James Alonzo Matthews, Jr. et al., Pearce [etc.] and Allied Families, above, p. 120 (stating that she was born in Roswell, New Mexico on 24 Sep 1905 rather than 24 Sep 1904; other records give 1904). [S961] Find A Grave, online, above, memorial for Fannie Mills Pearce, memorial no. 45822610, viewed on 17 Feb 2013. [S961] Find A Grave, online, above, memorial for Fannie Mills Pearce, memorial no. 45822610, viewed on 17 Feb 2013 (giving the year but not the place or other date information). [S1259] Texas Death Index, online at http://tinyurl.com/kzoy27x, record for Fannie Mills Pearce, viewed on 6 Aug 2013 (giving the date and county). [S312] Social Security Death Index, online at http://tinyurl.com/AncestrySSDI, record for Fannie M. Pearce, viewed on 6 Aug 2013 (giving the date but not the place). Other Names*: Marie Keller Pearce, Marie Pearce, Marie M. Pearce. [S961] Find A Grave, online at http://www.findagrave.com, memorial for Marie M. Pearce, memorial no. 13516763, viewed on 18 Feb 2013. [S28] James Alonzo Matthews, Jr. and Lucille Pearce, comps., Pearce, Bartlett, Matthews, Smart, and Allied Families (Austin, Tex. : Eakin Publications, Inc., 1983), p. 118. [S28] James Alonzo Matthews, Jr. et al., Pearce [etc.] and Allied Families, above, p. 118 (naming Marie Keller as her mother). [S28] James Alonzo Matthews, Jr. et al., Pearce [etc.] and Allied Families, above, p. 118 (naming Marie Keller as his mother). [S28] James Alonzo Matthews, Jr. et al., Pearce [etc.] and Allied Families, above, p. 118 (naming Maarie Keller as his mother). [S976] The Dallas Morning News, Dallas, Tex., online at http://www.dallasnews.com, 28 Sep 2003 (obituary of Howard Roderick ('Bill') Pearce), viewed on 21 Feb 2013 (naming Marie Keller as his mother). Other Names*: Minnette Pearce Hawley, Minnette Hawley. [S28] James Alonzo Matthews, Jr. and Lucille Pearce, comps., Pearce, Bartlett, Matthews, Smart, and Allied Families (Austin, Tex. : Eakin Publications, Inc., 1983), p. 118 (naming Marie Keller as her mother). [S28] James Alonzo Matthews, Jr. et al., Pearce [etc.] and Allied Families, above, p. 118 (naming James M. Pearce as her father). [S28] James Alonzo Matthews, Jr. and Lucille Pearce, comps., Pearce, Bartlett, Matthews, Smart, and Allied Families (Austin, Tex. : Eakin Publications, Inc., 1983), p. 118 (naming James M. Pearce as his father). [S28] James Alonzo Matthews, Jr. et al., Pearce [etc.] and Allied Families, above, p. 118 (naming Raymond Clair Pearce as his father). Other Names*: Margaret Bourland Pearce, Margaret Pearce. [S28] James Alonzo Matthews, Jr. et al., Pearce [etc.] and Allied Families, above, p. 118 (naming Margaret Bourland as his mother). [S28] James Alonzo Matthews, Jr. and Lucille Pearce, comps., Pearce, Bartlett, Matthews, Smart, and Allied Families (Austin, Tex. : Eakin Publications, Inc., 1983), p. 118 (naming Margaret Bourland as his mother). [S961] Find A Grave, online at http://www.findagrave.com, memorial for Raymond Franklin Pearce, memorial no. 13045379, viewed on 18 Feb 2013. Other Names*: Bertha Lee Pearce, Bertha Pearce. • Her Find A Grave memorial, which includes an obituary, is here. [S961] Find A Grave, online at http://www.findagrave.com, memorial for Bertha Lee Pearce, memorial no. 33494062, viewed on 18 Feb 2013, attributing information to Wills Point Chronicle, Wills Point, Tex., 22 Dec 2006, p. 9A (naming Samuel Lee as her father). [S961] Find A Grave, online, above, memorial for Bertha Lee Pearce, memorial no. 33494062, viewed on 18 Feb 2013, attributing information to Wills Point Chronicle, Wills Point, Tex., 22 Dec 2006, p. 9A (naming Bertha Beyer Lee as her mother). [S961] Find A Grave, online, above, memorial for Bertha Lee Pearce, memorial no. 33494062, viewed on 18 Feb 2013, attributing information to Wills Point Chronicle, Wills Point, Tex., 22 Dec 2006, p. 9A. Marriage*: He married Bertha Beyer. Marriage*: She married Samuel Lee. [S961] Find A Grave, online at http://www.findagrave.com, memorial for Bertha Lee Pearce, memorial no. 33494062, viewed on 18 Feb 2013, attributing information to Wills Point Chronicle, Wills Point, Tex., 22 Dec 2006, p. 9A (naming Bertha Beyer Lee as her mother).